meat sections : hot meat illustrations delivered daily: San Francisco is for Carnivores -- available!!! 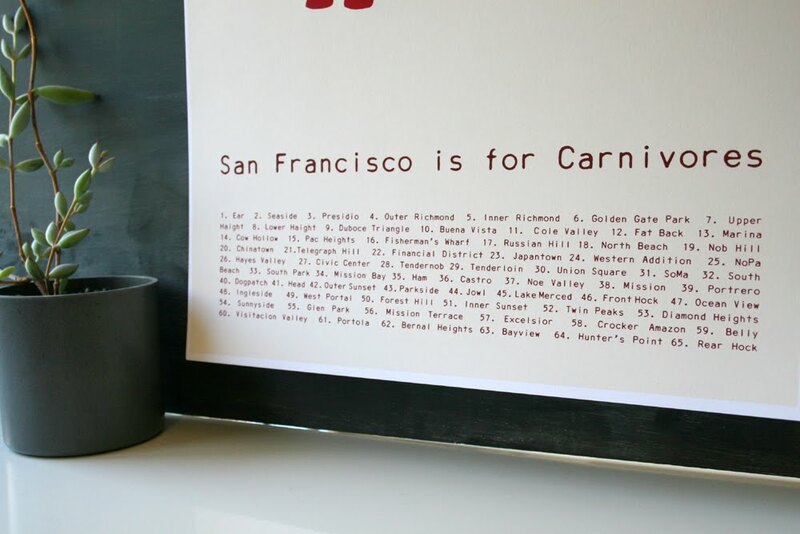 San Francisco is for Carnivores -- available!!! 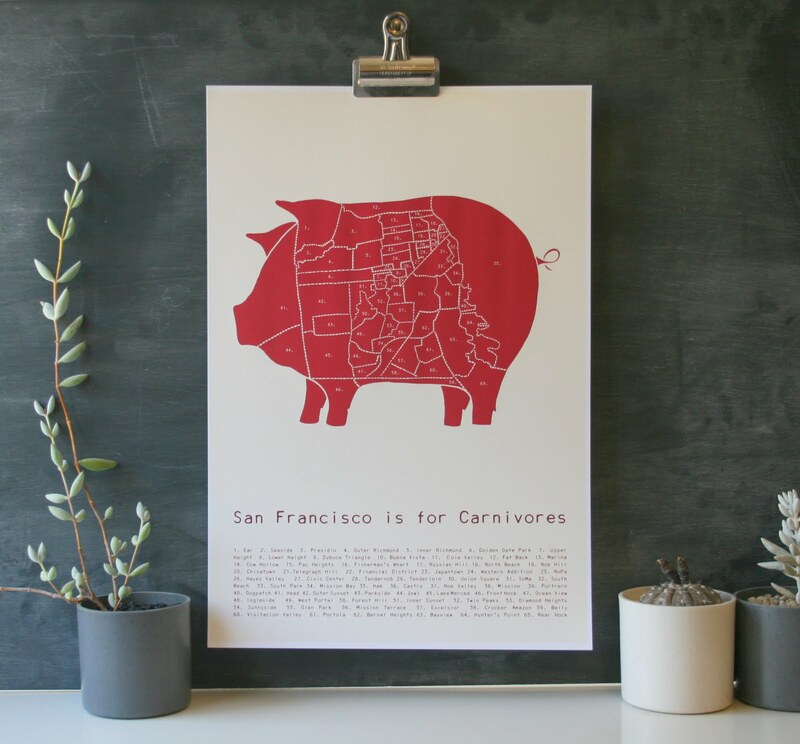 Just a quick note to let you know that my "San Francisco is for Carnivores" poster is now available in my esty shop for $26. I'm super proud of this design. 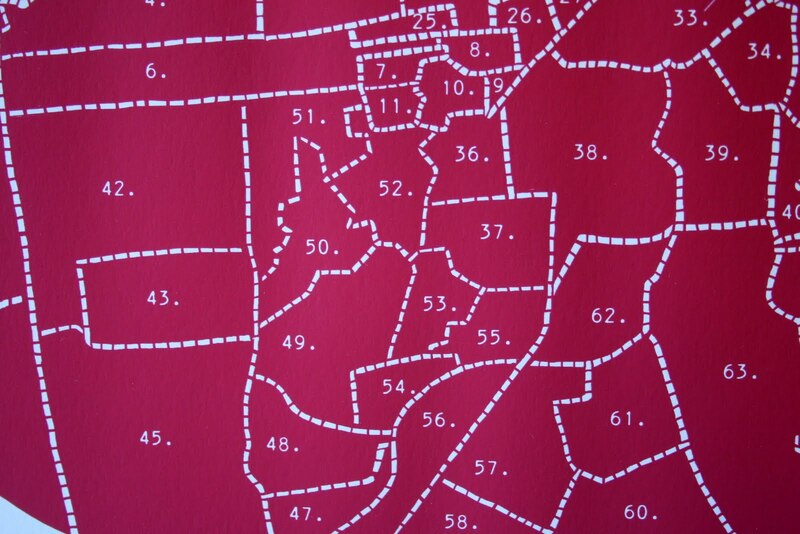 I drew a map of all the San Francisco neighborhoods. 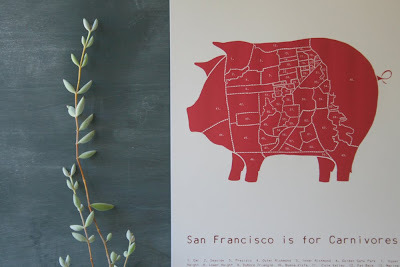 Then I used my handy new bamboo wacom tablet to draw a pig, and then fit the map inside the pig, making it into a butchery diagram (complete with labels for ham, hock, and jowl)! 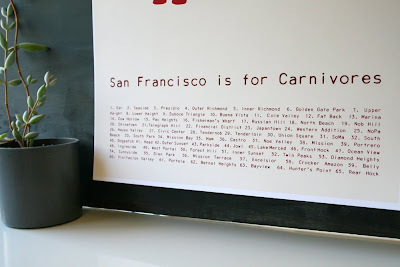 It was super well received at Indie Mart and I'm really happy that it's now up in the shop! The supplies are limited for now, because I'm printing them at home with my super serious archival pigment ink Epson R2400 printer. The ink requires a 24 hour drying time, and for now I don't have the physical space to make tons of them. 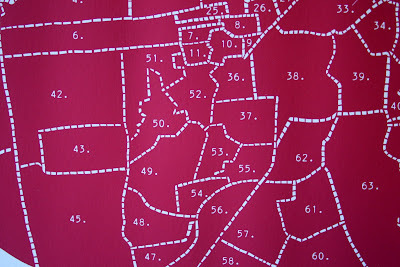 I'm in the process of finding a local printer (offset or screen printer) to make them in slightly larger quantities. NOTE: Grey version also available! this turned out incredible! let me know when the red version is available again!! !